Join us and we'll support you heading for the hills. Photo: Alex Messenger. Why should hill walkers join the BMC? Here are our top five reasons why BMC membership is a vital bit of kit. BMC membership is a vital bit of kit for any hill walker, whether a veteran or a newcomer. It will allow you to get involved with our campaigning work, meet up with other outdoorgoers, increase your voice in the world of politics and Westminster, boost your knowledge, provide inspiration, and save you all-important pennies on equipment and travel. The BMC is constantly working to keep the outdoor environment free and protected for all to enjoy. We work to defend the right to roam, fund conservation projects like footpath repairs, lobby politicians to pass walker-friendly legislation, and continually push for improved access for walkers, whether it’s to mountains, private woodlands or the coast. Recent work on behalf of walkers includes our Mend Our Mountains campaign, where we crowdfunded more than £100,000 for urgent path repairs on some of Britain's most iconic peaks. We have also pushed for greater freedoms through our Open Wales campaign, tackled the challenges presented by challenge events, and encouraged politicans to recognise the value of the outdoors. We also provide the secretariat to the All-Party Parliamentary Group for Mountaineering, a forum which gives us a direct route to the ears of MPs and politicians. You can get involved with this work too, through BMC Area Meetings, grassroots campaigns, and working with local activists and volunteers. BMC members can make a real difference to the issues affecting outdoorgoers and getting directly involved can be a hugely rewarding experience. The BMC is a key supporter of the Britain on Foot campaign. We support people taking their first steps into hill walking and aim to win more people to the benefits of an active, outdoor lifestyle in general. We also offers members huge discounts on skills courses through our Active Outdoors range at Plas y Brenin in Snowdonia, so if you're looking to upgrade your abilities to scrambling or winter skills (or even take a course in basic hill walking), you can do it for less. 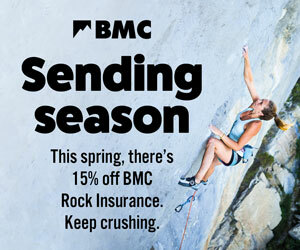 You also get Combined Liability and Personal Accident insurance, access to BMC Travel Insurance specifically tailored to hill walkers and trekkers, and travel and accommodation discounts. The range of more than 50 discount schemes includes everything from car hire, accomodation and guiding in the UK and abroad, to first aid courses, instruction and mapping. Members get a free subscription to Summit, the BMC’s magazine, which is packed with some of the best walking, climbing and mountaineering content around. Each issue sees inspirational features, personal stories, travel advice, interviews, skills and how-to guidance to enrich and inspire your mountain life. We also produce a raft of totally free publications like the New Hill Walkers booklet and the Green Guide to the Uplands, and work with Harvey Maps to produce the indispensable British Mountain Map series, which members get at a discounted rate. Joining enables you save money on many of these resources and support our work to empower more people to enjoy the outdoors with knowledge and inspiration. Joining your nearest BMC club can be a great way to get started, meet like-minded people and share the cost of getting into the hills. You don’t have to be a certain level or ability to join the BMC. Our membership spans a huge range, from occasional recreational hill walkers to high-altitude Himalayan climbers. Some clubs are more climbing-focused than others, and if you’re new to hill walking it’s worth checking if the club nearest you accepts novices. However in a recent survey 62% of our members listed hill walking as their primary mountain activity, so it shouldn’t be too hard to find people who share your interests and abilities. We rely on membership subscriptions to fund our vital work. But the good news is that if you become an Individual member or sign up for family membership by Direct Debit, you get a whopping 50% off our annual membership fee for the first year, which works out at just £14.97 for Individual membership. At that price, when you factor in the discounts and benefits you get, joining can easily pay for itself. Join here – it takes less than a minute. It's good news for hill walkers as the BMC has appointed its first ever dedicated BMC hill walking development officer. One of the world’s most respected experts on long-distance walking and backpacking is to become the BMC’s first hill walking ambassador. Wondering what happens to your membership money? Here are a few ways that we made your cash count last year.